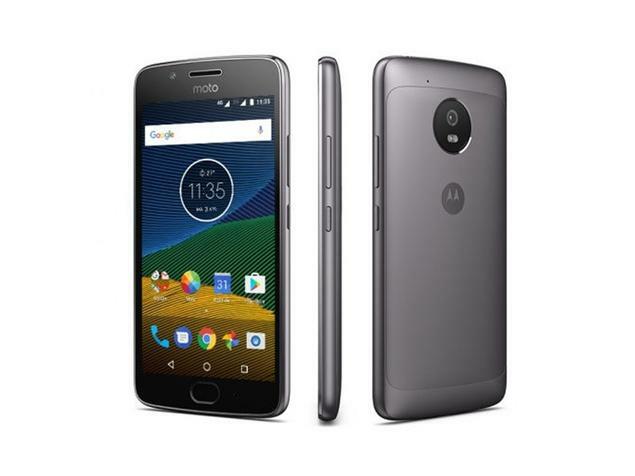 Motorola Moto G series is the best selling budget smartphone ever, and the company has recently added a new handset in G series called the Motorola Moto G5. The newly arrived smartphone shine with a metal body and also featuring a fingerprint sensor for advance security and have amazing features and specs, which would not expect with this less-expensive smartphone. The smartphone features a 5.0 IPS LCD touchscreen having the 1080 × 1920 pixels resolution at 441 ppi pixel density. The screen of the smartphone is protected by the Scratch-resistant glass, so if your phone will fall down, the screen will remain protected. The phone runs on the latest generation Android 7.0 Nougat operating system out of the box. The smartphone is powered by the Qualcomm Snapdragon 430 octa core processor which clocked at 1.4 GHz. For graphic, the smartphone has Adreno 506 graphics card inside. The phone is equipped with 2GB or 3GB of RAM along with 16GB or 32GB of internal storage that can be expandable up to 256GB through a MicroSD card. Regarding the photography, the smartphone comes with 13 megapixel rear camera with the f/2.0 aperture, phase detection autofocus, and LED flash. For the selfie camera, there is 5 megapixel front facing camera with the f/2.2 aperture. The smartphone boasts with a removable Li-Ion 2,800mAh battery and also come with the support for fast battery charging. The phone is available in various color options: Lunar gray, Fine gold, and Sapphire blue. Should I Choose Managed WordPress Hosting For Business?